Ann Arbor area music fans will inhale good tunes and times Saturday night at The Blind Pig. Ypsilanti’s Stormy Chromer will host a “420” show with Pajamas and Earth Radio to celebrate a fluid night of live music on the infamous Mary Jane-centric holiday. “We have a fun lineup, and we haven’t played with Pajamas in Ann Arbor in a couple of years. We’re really happy with how they’ve been progressing as well, and every time we see them, we want to share a bill with them,” said Amin Lanseur, Stormy Chromer’s drummer and vocalist. 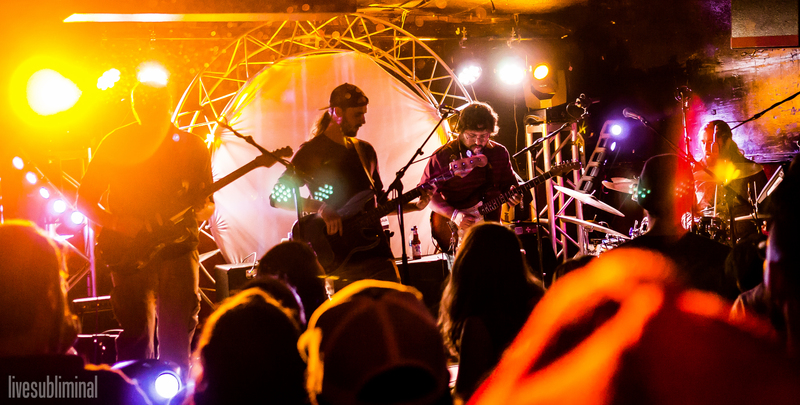 It will be the homegrown progressive jam band’s first appearance at The Blind Pig since their New Year’s Eve show. Together, Stormy Chromer will mix elements of rock, jazz, heavy metal, ska and hip hop to perform a danceable set with Pajamas, a Tree Town improvisational rock, funk and fusion trio, and Earth Radio, a Grand Rapids future soul quintet. 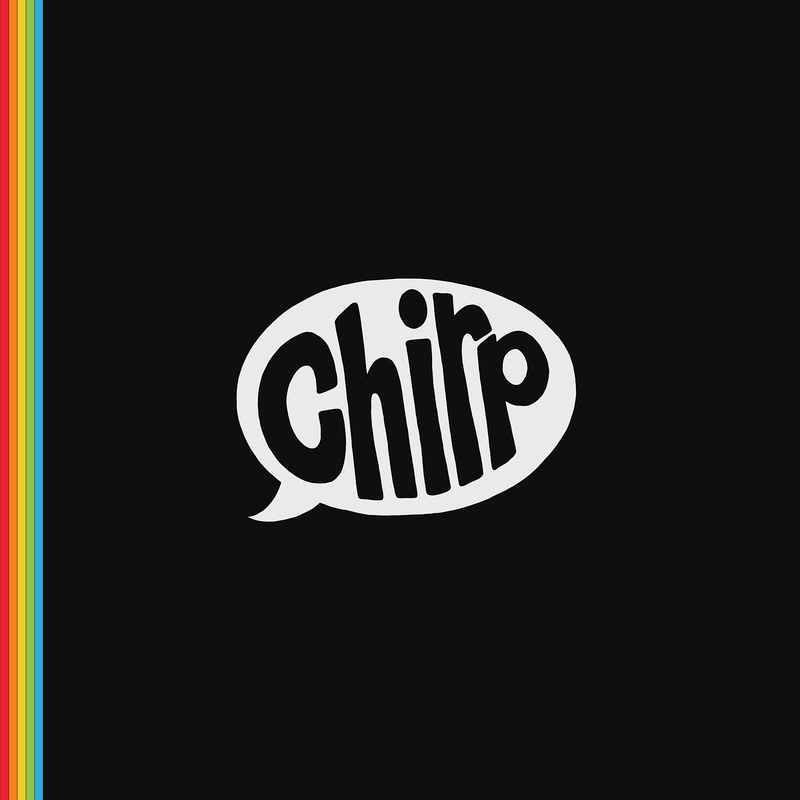 Chirp has released their self-titled, full-length studio debut album today. On their melodic self-titled, full-length debut studio album, Chirp knows how to magically capture and beautifully deliver the sweet, groovy sounds of spring. Today’s release of “Chirp” celebrates the Ann Arbor funk, prog rock and jazz fusion quartet’s creative migration from improvising on the stage to nesting in the studio. As a follow-up to last year’s “Live at Ann Arbor Summer Festival” release, the new studio album’s nine genre-hopping tracks take listeners on fleeting sonic journey filled with upbeat, danceable mind trips to “Dickerville,” “Greener,” “Planet Groove,” “Cozy,” “Pig Beach” and other joyful auditory destinations. Chirp does their share of genre-hopping by blending catching progressive rock, funk and jazz originals with majestic reinterpretations during the high-energy, dynamic shows. Though their music incorporates many technical, well-crafted elements, they’re committed to grooving with a solid, dedicated fan base. For dedicated Chirp fans, the album is a direct sonic flight through their eclectic catalog without any layovers or turbulence. 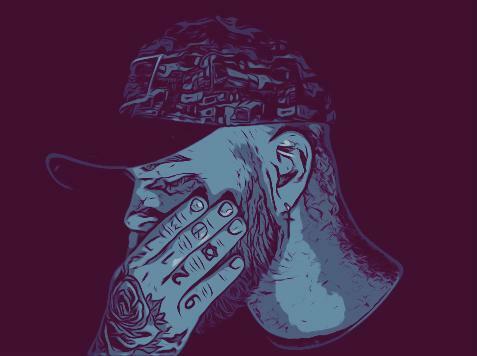 While hearing “Chirp,” listeners travel smoothly through a series of glistening grooves, riffs and beats eloquently condensed into a brilliant studio package. Biomassive will play a New Year’s Eve show at The Blind Pig in Ann Arbor tonight with Stormy Chromer and Chirp. This is the third installment in a three-part series profiling Michigan bands for a New Year’s Eve show at The Blind Pig in Ann Arbor. Biomassive will share their deep, intelligent beats with an energetic New Year’s Eve crowd in Ann Arbor tonight. The Traverse City rock electronica sextet will join Stormy Chromer and Chirp for a night filled with guitar-driven funk and jazz tunes fused with improvisational jams at The Blind Pig, 208 S. First St. This isn’t the first time Biomassive has played with Stormy Chromer, a Ypsilanti-based homegrown progressive jam band. However, it will be the first time they’ve shared the stage with Chirp, a Tree Town progressive rock, funk and jazz fusion quartet. 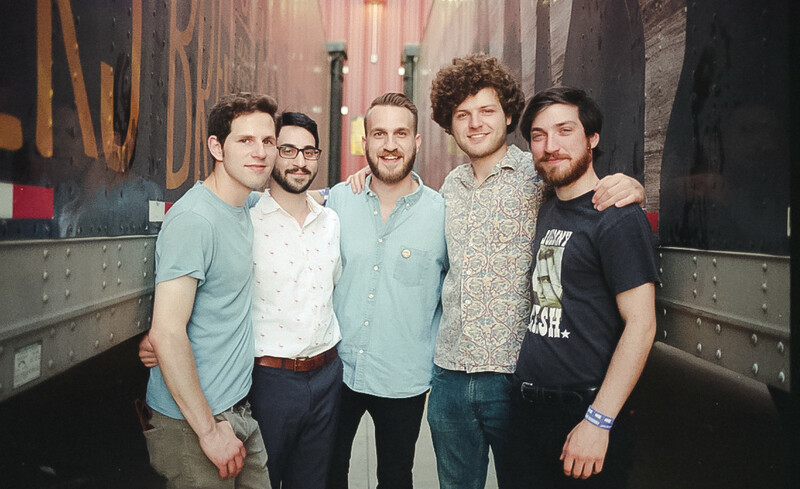 Formed in 2012, Biomassive blends catchy electronic beats with ground-shaking, sub-bass mechanics and features the talented musicianship of Connor Lindsay (synth, keys), Randall Erno (bass), Ben Wyler (synth, keys), Shandon Williams (percussion), Matt Zimmerman (drums) and Burhop. Reminiscent of their Umphrey’s McGee and Sound Tribe Sector 9 (STS9) influence, Biomassive fuses funk and progressive rock to arrive at an unparalleled sound. 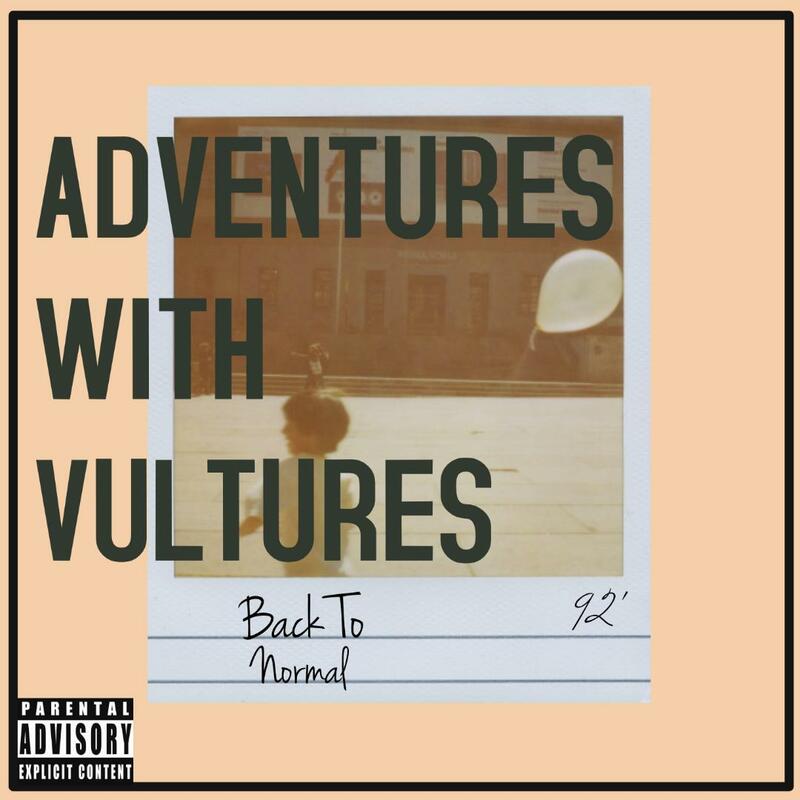 This anomalous Northern Michigan band redefines the sound of the electronic genre and plays distinctive covers and mash-ups ranging from The Grateful Dead to Gorillaz. Biomassive’s latest single, “Earth Girls Are Easy,” brings ethereal elements of rock, electronica and hip hop together into a mesmerizing musical orbit. Named after the 1989 Geena Davis and Jeff Goldblum romantic comedy, science fiction film, it’s the perfect tune for an out-of-this-world sonic escape. While Biomassive’s upcoming album will be released this spring, Burhop and his bandmates are already writing and recording more material for the next project. The band has previously released several other albums and EPs, including “Biomassive” (2013), “Instinct” (2013), “Certified Organic” (2013) and “Spiritbound” (2014). This is the second installment of a three-part series profiling Michigan bands for a New Year’s Eve show at The Blind Pig in Ann Arbor. Chirp fans will flock to The Blind Pig Monday night for a top-flight New Year’s Eve show with Stormy Chromer and Biomassive. 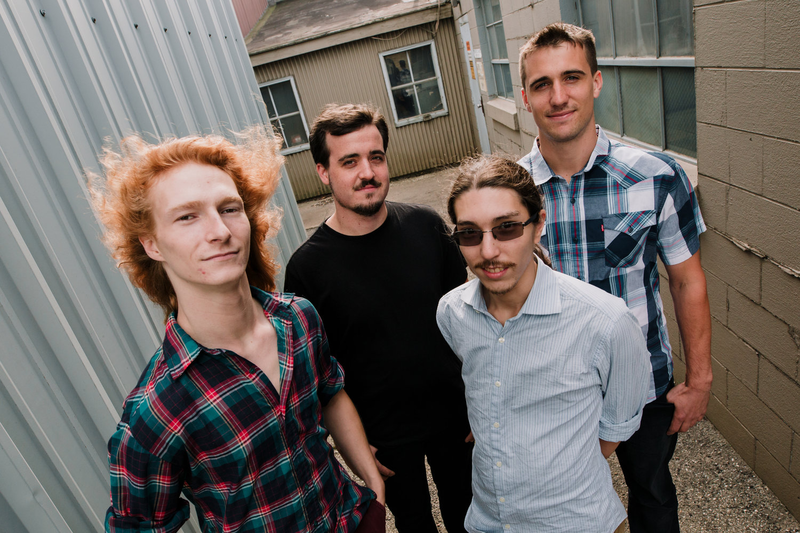 The Ann Arbor progressive rock, funk and jazz fusion quartet will share new tunes and covers as they close out 2018. “We’re definitely going to try to change it up from the norm. I think for a lot of people coming out that night it will be new. We always like to bust out new covers for special events and holidays, so you can definitely expect some of that,” said Jay Frydenlund, Chirp guitarist and vocalist. This is the third year Chirp has teamed up with Stormy Chromer, a homegrown progressive jam band, for a New Year’s Eve show in Tree Town. It’s the second consecutive year for the event at The Blind Pig, 208 S. First St. While Chirp and Stormy Chromer have a long history of playing together, it’s the first time Chirp will share the stage with Biomassive, an electronic rock band from Traverse City. Biomassive will blend the organic feel of real-time music with deep, intelligent beats of their ground-shaking, sub-bass mechanics. This is the first installment of a three-part series profiling Michigan bands hosting a New Year’s Eve show at The Blind Pig in Ann Arbor. 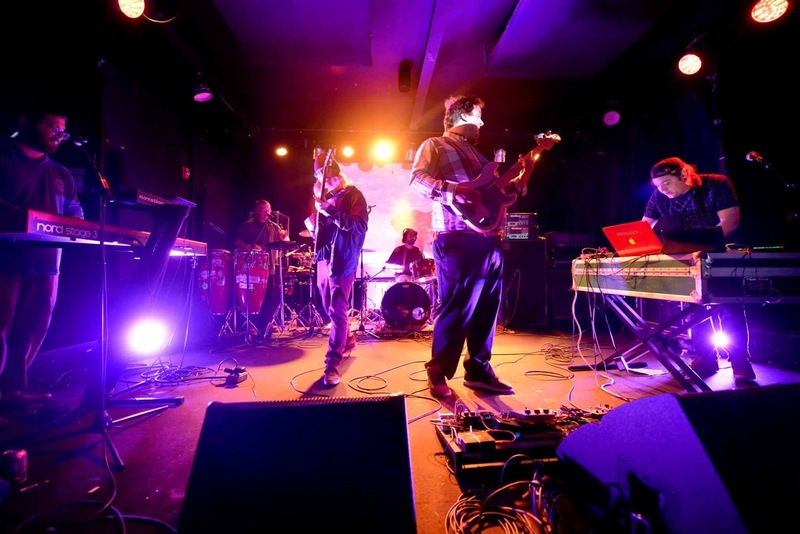 Three Michigan bands will bring an eclectic array of improvisational rock, jazz, funk and electronica to Ann Arbor Monday night. Stormy Chromer, Chirp and Biomassive will host a turbo-charged, fluid night of live music at The Blind Pig, 208 S. First St., for New Year’s Eve. It’s the third year Stormy Chromer has organized a New Year’s Eve show in Tree Town, and the second year they’ve held the event at The Blind Pig. “We’re going with all live bands this year, and it’s a three-band night. Chirp and Stormy Chromer have a long and awesome relationship, and we’re all from Ann Arbor. Biomassive is a band that we just really hit it off with when we played with them two years ago,” said Amin Lanseur, Stormy Chromer’s drummer and vocalist. The New Year’s Eve show will include a ball drop set with Stormy Chromer improvising on stage and counting down with the crowd to 2019. 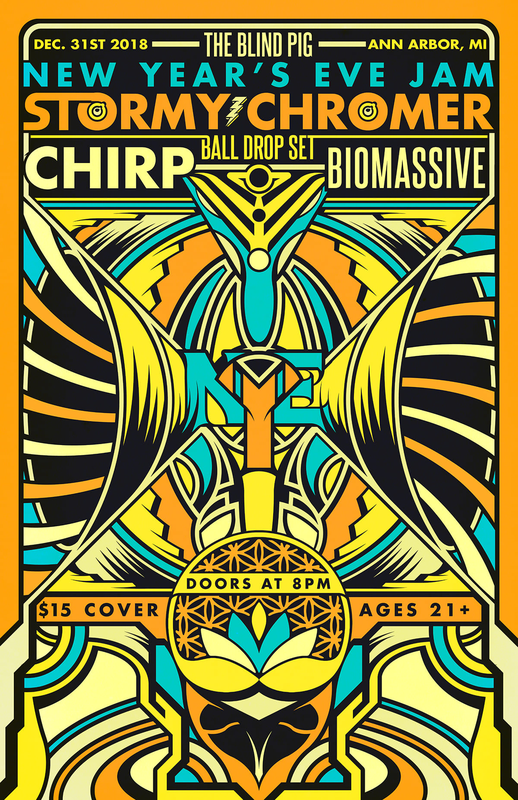 Members of Chirp and Biomassive will join the band to ring in the new year.